The St Thomas Way is designed to be inclusive and accessible to all. Depending on your abilities and needs, you can explore the Way differently. You can choose to discover the Way entirely by car, and miss out the walking routes. You will still be able to visit the historic sites and explore the interactive content. Or you can check the information on access / distance for each walk, and decide which ones you’re able to do. You will also find information on terrain (e.g. wheelchair friendly or not). The St Thomas Way content includes a variety of different media to enrich your experience of each location, which may be suitable for different needs / preferences. Content includes interpretative text, pictures, video, and also audio (music and medieval soundscapes). Families with young children / buggies can also check the information for each walking route, to find guidance on distance and terrain (e.g. buggy friendly). Most locations on the Way need to be reached by car. However, some are served by train stations. These include Swansea, Caerphilly, Newport, Abergavenny and Hereford. For tips on using the website, see our FAQs, or open ‘Help’ by clicking the Menu button at the top right of the interactive map. 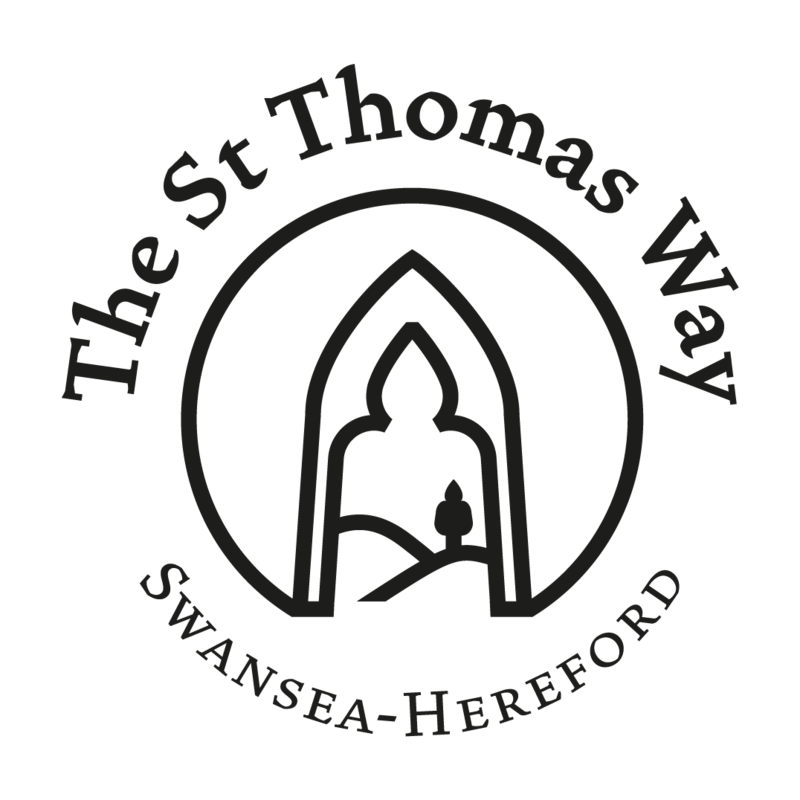 At present, the St Thomas Way is online-only, for reasons of sustainability, and to achieve a multi-media, interactive visitor experience. If you prefer print material, you can download and print out content from our Archive, although this will not include multi-media / interactive elements. Many medieval pilgrims went on ‘pilgrimage’ to places like Rome and Jerusalem without even leaving their own home towns. Instead, they read books, looked at maps, and even walked around recreations of these famous places. In the spirit of that tradition, we warmly welcome ‘virtual travellers’ from anywhere in the world, who wish to follow the St Thomas Way from home, via our digital content.